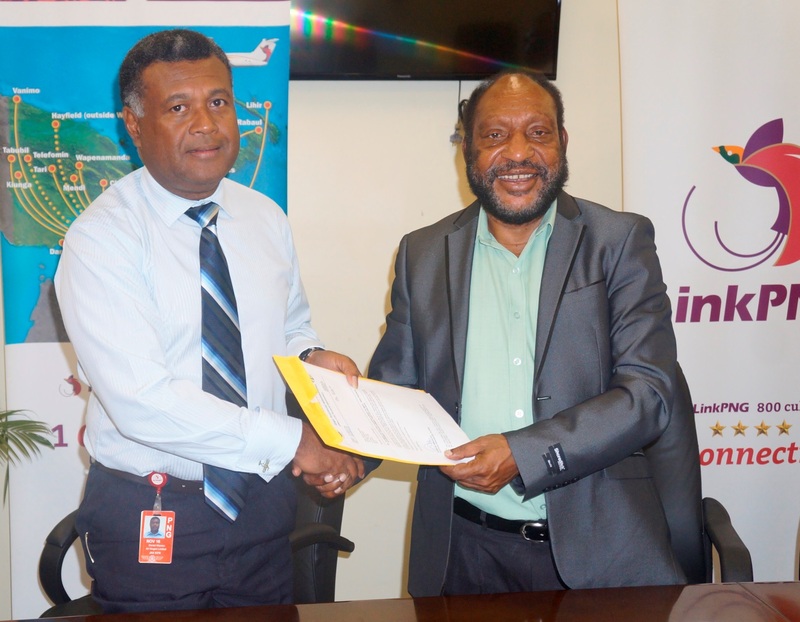 Enga Provincial Government has presented K250, 000 as part of its first quarter airfare subsidy to Air Niugini’s subsidiary company, Link PNG on Friday, 15th April 2015. Governor, Peter Ipatas in presenting the cheque said airline services are vital for his province as they save time and costs for the people including public servants who used to travel all the way to Mt Hagen to catch flights. He said apart from saving time and resources, this arrangement stimulates and maintains the economy in Enga province. Link PNG CEO, Daniel Wanma in receiving the cheque said the airline hopes to continue the partnership with the Enga Provincial Government. He hopes the other provincial governments adopt the same arrangement. The Enga Provincial Government has been paying airfare subsidies since 2004. The flights to Wapenamanda airport are operated by Link PNG’s Dash 8 aircraft. Link PNG operates daily flights to Wapenamanda.